If you love to teach, help people, and are interested in a career in health care, then nursing just may be the path for you. There are many routes you can take to become either a licensed practical nurse (LPN), a registered nurse (RN) or a nurse practitioner (NP). When considering what educational steps to take it is important to evaluate your career goals and figure out what you want out of your nursing career. 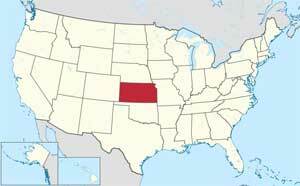 This article will discuss the programs and requirements for becoming a nurse in Kansas. To become an LPN in Kansas you need to graduate from a Practical Nurse program. These programs are normally available at community colleges and technical schools. Students who graduate from a PN program are eligible to take the LPN licensure examination. According to the Kansas State Board of Nursing, LPN tasks and responsibilities are based on excellent educational preparation within the framework of supportive and restorative care under the direction of a registered professional nurse. LPNs have limited employment opportunities compared to RNs. There are two ways to become an RN: complete an Associate’s degree in nursing (ADN) or finish a Bachelors of Science degree in nursing (BSN). After graduating from one of the programs, you are qualified to take the RN licensure examination. There are, however, several differences between an ADN program and a BSN program. ADN nurses have knowledge that is applied to the care, diagnosis, treatment, counsel and health teaching of people who are experiencing changes in their normal health. There are jobs available to graduates in many settings including acute care, long term care, clinic, and community health. BSN graduates have a broader range of knowledge and are able to work in more settings, but primarily operate in acute care and hospitals. Individuals who complete a BSN usually continue on and graduate from a Masters of Science in Nursing. Most commonly, a Master of Science in Nursing leads to becoming a Nurse Practitioner. It can also allow you to become a Clinical Nurse Specialist, a Nurse Anesthetist, or a Nurse Midwife. Currently, there are 36 accredited nursing programs in Kansas that offer PN, ADN and BSN degrees. When deciding on a program, be sure to evaluate the admission criteria, delivery method of the course, the clinical experiences offered and the National Accreditation status of the program.